WASHINGTON, Dec. 24 /PRNewswire-USNewswire/ — SOS Children’s Villages – USA today announced a gift of $100,000 from Angelina Jolie and Brad Pitt to support its two American SOS Children’s Villages for Christmas. SOS-Florida and SOS-Illinois were founded over fifteen years ago to provide an alternative form of foster care in the U.S. that puts an end to multiple placements, separation from siblings, physical and sexual abuse or neglect and abandonment. SOS-Florida in Coconut Creek provides a home for 75 children of all ages. Services include tutoring, therapy, life skills, and family reunification when possible. SOS-Illinois operates two villages, one in Lockport which cares for 102 children. A second village in South Chicago takes care of 84 children and youths. A Social Center also provides day care and support services for other families at risk. Another SOS Village on the West Side of Chicago is in the planning stages. For 60 years, SOS Children’s Villages has been dedicated to the long-term care of orphaned and abandoned children. With 500 villages in 132 countries, SOS offers a family-based village model that provides for the holistic needs of a child – family, community, education and support – essential for the successful transition from childhood into adulthood. Through Villages, schools, medical facilities, micro-lending, and family strengthening programs, SOS Children’s Villages impacts the lives of over 1 million people each year. In 2009, SOS Children’s Villages was honored with the Save the World Award. SOS is also the recipient of the Conrad N. Hilton Humanitarian Prize and the Mother Teresa Gold Medal. Stephanie Okereke’s romantic comedy, Through the Glass and Kunle Afolayan’s horror movie, The Figurine: (Araromire) raised the bar for Nollywood movies in 2009. 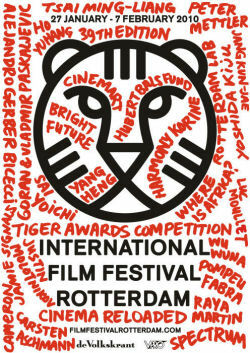 These movies were accomplishments of young Nigerian directors who are not afraid to compete with the best in the world. Through the Glass which was shot in America has made Stephanie a bankable filmmaker in Nollywood since the world premiere at the Pacific Design Center on Melrose Avenue, West Hollywood, CA, on October 18th, 2008 in US and screenings in Nigeria. Stephanie said her movie was a sort of autobiography, because she used it to express the trials of her own turbulent romance. Garrett McKechnie who is Stephanie;s gambit plays Jeffery who is stuck with an unknown baby and he must find the mother before his life is completely ruined. 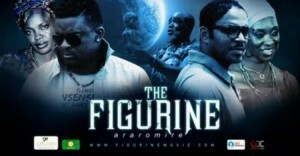 The Figurine: (Araromire) is Kunle Afolayan’s most daring movie since he stepped into the big shoes of his late father, Adeyemi Afolayan a.k.a “Ade Love” who was an accomplished Nigerian filmmaker in the 1970s and early 1980s. The Figurine (Araromire) tells the melodramatic story of two buddies and their love for the same girl. Their lives take a dramatic turn when one of them discovers the accursed “Araromire”, a mysterious figurine in an abandoned shrine in a Nigerian village, which, according to legend bestows seven years of good luck, but they are ignorant of the next seven years of unforeseen circumstances. The movie has Nollywood star Ramsey Nouah and the filmmaker himself playing the lead roles of the two buddies with Funlola Aofiyebi-Raimi, Tosin Sido, Omoni Oboli and Muraina Oyelami who did not disappoint in their challenging roles. Using good professionals in the cast and crew made the productions of the two movies more accomplished than previous Nollywood movies. Supple magazine has a special edition on the 62nd Cannes Film Festival that will be released before the end of the year. The following is the complete list of the result of the festival where Austrian Michael Haneke’s The White Ribbon won the highly coveted Palme d’Or at the 62nd Cannes Film Festival. LOS ANGELES, Dec. 14 /PRNewswire/ — The Broadcast Film Critics Association (BFCA) has announced the nominees for the 15th Annual Critics’ Choice Movie Awards. The winners will be announced at the Critics’ Choice Movie Awards live on Friday, January 15, 2010 at 9:00 PM ET/PT. This year’s event will take place at the Hollywood Palladium and will be hosted by Kristin Chenoweth. For the third year in a row, VH1 will broadcast the gala live on the network. 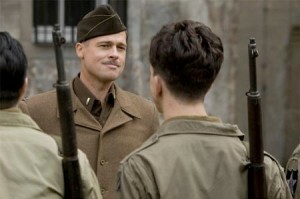 “Inglourious Basterds” and “Nine” each received an unprecedented ten nominations for the 15th Annual Critics’ Choice Movie Awards. “Inglourious Basterds” garnered nods for Best Picture, Best Supporting Actor, Best Ensemble, Best Director, Best Original Screenplay, Best Cinematography, Best Art Direction, Best Editing, Best Costume Design and Best Action Movie. 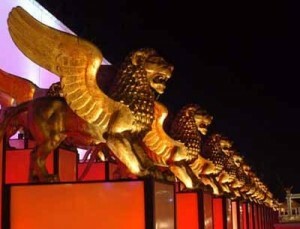 “Nine” received nominations for Best Picture, Best Supporting Actress, Best Ensemble, Best Cinematography, Best Art Direction, Best Editing, Best Costume Design, Best Makeup, Best Sound and Best Song. Following close behind with nine nominations is James Cameron’s “Avatar” along with “Up in the Air” and “The Hurt Locker” each receiving eight nominations. Fifteen-year-old Saoirse Ronan earned nods in both the Best Actress and Best Young Actor/Actress categories, among the six nominations for “The Lovely Bones”. “Up” received nominations for Best Picture and Best Animated Feature and this year three of the Best Action Movie nominees are also up for Best Picture – “Avatar,” “Inglourious Basterds” and “The Hurt Locker”. The 15th Annual Critics’ Choice Movie Awards also marks the addition of seven new award categories – Best Cinematography, Best Art Direction, Best Editing, Best Costume Design, Best Visual Effects, Best Makeup, and Best Sound. Additionally, the BFCA has returned to separating the screenwriting category into Original Screenplay and Adapted Screenplay. The 235 members of the BFCA, the largest film critics’ organization in the United States and Canada, representing television, radio and online critics, selected nominees in each of 25 categories. 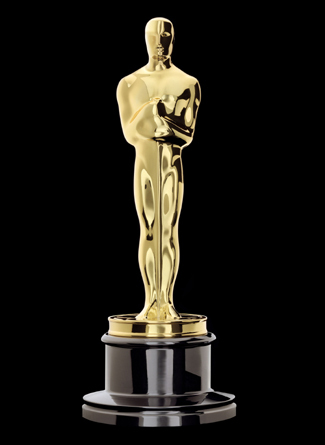 The awards are bestowed annually to honor the finest in cinematic achievement. Eligible films were released in 2009. The accounting firm of Gregory A. Mogab tallied the written ballots. Historically, the Critics’ Choice Movie Awards are the most accurate predictor of the Academy Award nominations. Today, VH1 also announces the launch of its Critics’ Choice Movie Awards Web site at CriticsChoice.VH1.com. The site offers movie fans detailed information about the show and this year’s nominees. The site also gives users a chance to weigh in on who they think should rise to the top in each Critics’ Choice category. In the coming weeks the site will launch a fashion section dedicated to the best red carpet looks of the year, as well as a real-time graph of Twitter activity surrounding the Critics’ Choice Movie Awards. VH1 connects viewers to the music, artists and pop culture that matter to them most with TV series, specials, live events, exclusive online content and public affairs initiatives. VH1 is available in 95 million households in the U.S. VH1 also has an array of digital channels and services including VH1Classic, VH1 Soul, VH1 Mobile, VH1Games and extensive video on VH1.com. Connect with VH1 at VH1.com.